Adding time spent on an update can either be done manually or through the auto-timer function. Sometimes, you may inadvertently have an incorrect number of minutes added as the time spent for a particular update. You may adjust it by subtracting the respective number of minutes from the total time spent. 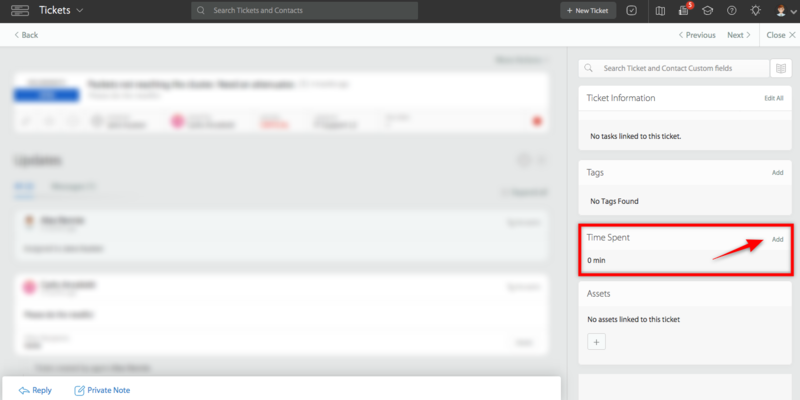 Click the Add button next to the Time Spent field in your ticket. On the Add Time pop-up that appears, enter the minus/hyphen symbol(-), followed by the number of minutes to subtract, and click Save. The Time Spent count will then be reduced by the respective minutes you subtracted. This action will also visible to other agents as an activity log in the ticket.